Looking east on High Street, toward Main Street in Brattleboro, around 1894. Image from Picturesque Brattleboro (1894). 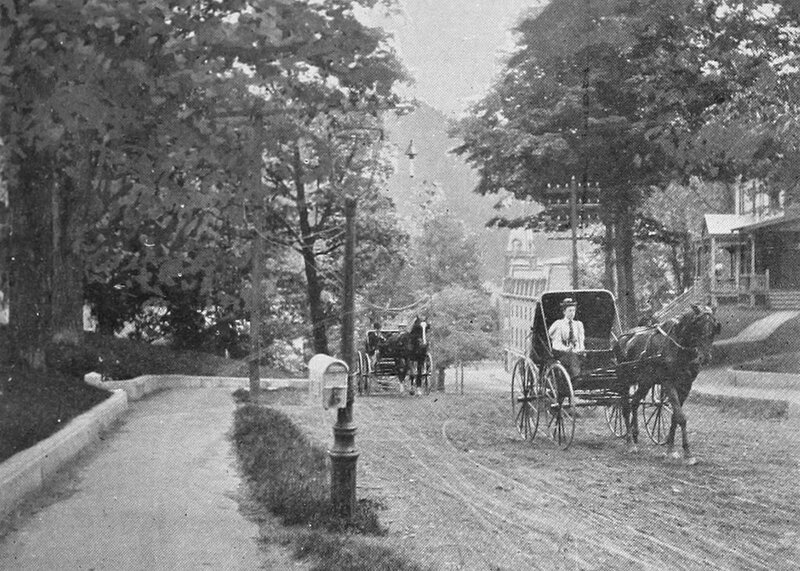 The first photo portrays an idyllic small-town scene, with horse-drawn carriages traveling along a rutted dirt road that was lined with trees. Two elegant Queen Anne-style homes stand on the far right side of the photo, while the Brooks House, perhaps the town’s finest hotel of the era, is visible at the bottom of the hill, at the corner of Main Street. 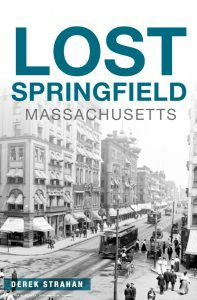 Further in the distance, on the other side of the Connecticut River, is Mount Wantastiquet, which rises to an elevation of 1,388 feet and forms a dramatic backdrop to downtown Brattleboro. 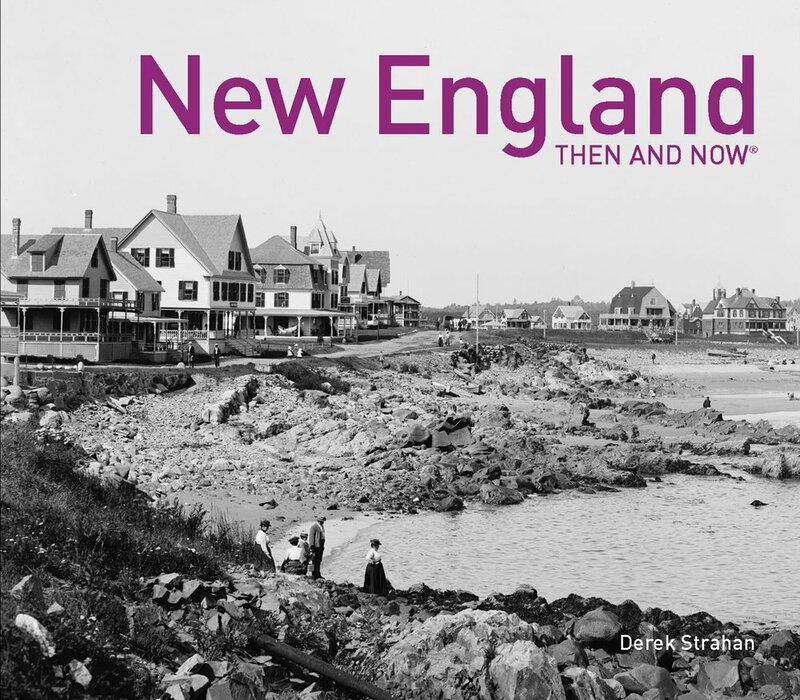 Today, nearly 125 years later, this scene has not significantly changed, although it has lost some of its picturesque charm from the first photo. 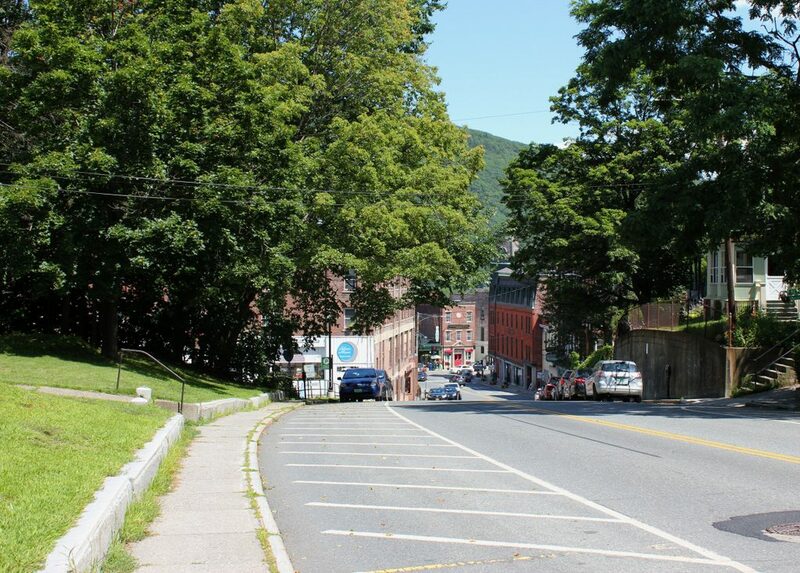 High Street is now a major road, carring Vermont Route 9 through downtown Brattleboro, and the bottom of the hill has been developed with early 20th century commercial and apartment blocks, including the 1918 Manley Apartment Building on the left side. However, the Brooks House is still there, as are the two homes on the right, although their sloping front lawns have been replaced by a large concrete retaining wall. Across the street on the left side, the sidewalk is narrower and closer to the street than it was in the 1890s, but the granite blocks and steps are still there on the left side of the sidewalk.